The service was excellent. I was able to select the paint colour I wanted and matched splash back perfectly to my kitchen. The workman ship was fantastic. It was so easy to organise and everyone I spoke to or contacted was very helpful. Nen was always very prompt to respond to my emails which made the whole process so easy. I would definitely recommend. Great value for money. Great company to deal with, starting from the ever helpful Nen, who was so quick to answer any questions that I might have had, to the guys who surveyed and fitted the glass. Top quality work, very good communications and excellent price. Would happily deal with them again. Excellent service, great products and competitively priced. Communication was good and installation prompt and professional. I have no hesitation in recommending this company. 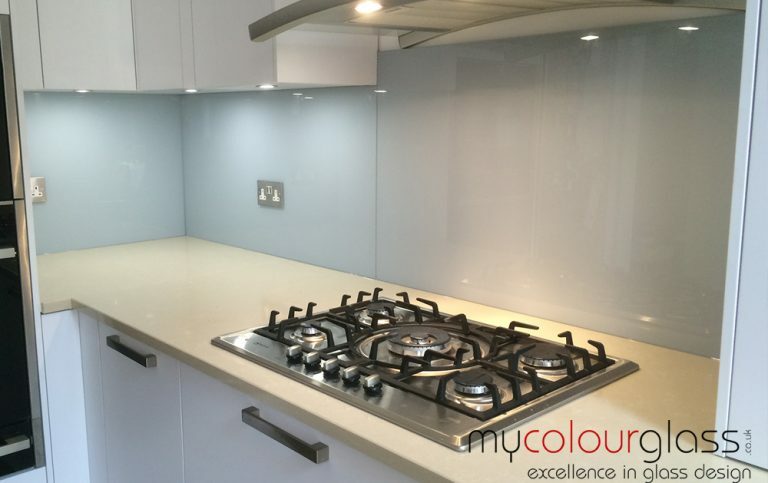 Our toughened glass splashback is the simplest and most stylish way to give a kitchen or bathroom a facelift, creating more depth, light and feeling of space. You will enjoy your kitchen or bathroom with vivid colours and high fashion look! 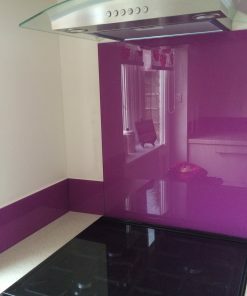 Glass Splashbacks are an alternative to tiles, granite, paint or laminates and has quickly become a preferred finish to most kitchens, bathrooms and living spaces. 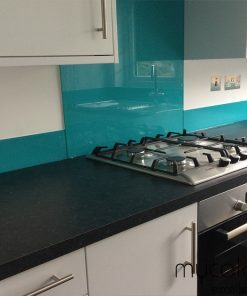 We can provide either single glass splashbacks or clad your entire kitchen carefully shaping the glass splashbacks around sockets and features. 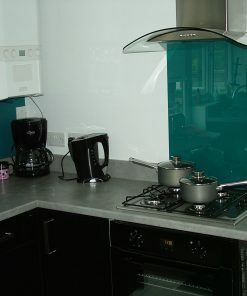 Glass splashbacks can include cut outs as required for example for electrical sockets etc. Our pricing is based on 6mm low-iron toughened glass being used. 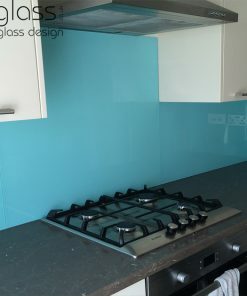 The use of glass splashbacks is only limited by your imagination. No porous tile grout lines means no opportunity for germs to start breeding – one wipe and its clean! 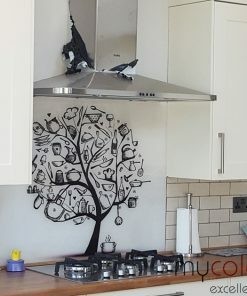 Thank you very much for the splashback which we have now mounted and we think it looks great. The colour match you did for us was just perfect. I have attached a picture of it for your gallery. Thank you very much for my beautiful splashback. The colour match is perfect and the installation was easy. It is the Pièce de résistance of my kitchen! 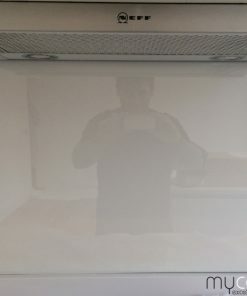 Mycolourglass sent my splashback when they said they would. We are very happy with their service and would recommend them anytime. By the way it looks pretty good.